The Vitalumière range of foundations are designed with hydration in mind. Chanel released the first Vitalumière foundation in 2002, a fluid formula, delivering medium coverage and a beautiful radiant glow. I loved it, and in fact wore it on my wedding day, buffing a few layers into my skin to make it last. It suited me in my 20's but my skin has definitely changed since then and I find that this doesn't work for me anymore, gradually moving and oxidising and turning oily on my face over the day. In 2011, Chanel released Vitalumière Aqua foundation. A slightly more cream than fluid formulation, and requiring a decent upper body workout prior to use, this is, for me, a grown-up version of Vitalumière. I don't think it lasts as long as I remember Vitalumière used, but I do like it for the days that I want light-medium coverage. So now it's 2012 and the new foundation; Vitalumière Aqua Compact has been released in time for summer (replacing Teint Innocence I believe). I have a number of stick and compact foundations so I thought I'd give this a whirl. I bought some in Beige 20 and Beige 30 to try out (for reference, I wear 30-Shell in Vitalumière and Beige Sable-30 in Vitalumière Aqua). The 20 was a little too pale and the 30 a tiny bit too dark, but I wear the 20 in the centre of my face and the 30 at the outsides and blended together it works fine. Like any foundation, but in particular a more creamy textured formulation like this, you need to make sure your skin is moisturised (and/or primed if necessary) before use. This applies easily and blends well (I've been using my Shiseido foundation brush for this, finally I have a use for this brush! But any buffing brush or sponge would work fine. Note that this foundation doesn't really work with a damp sponge). 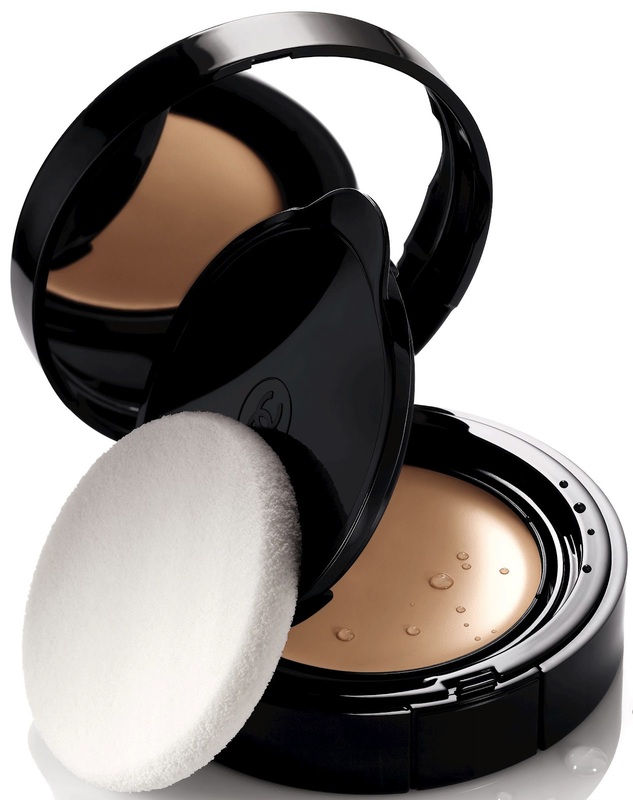 It feels comfortable and light on the skin, not heavy or cloying. It feels smooth and moisturising and definitely melts into the skin on application, as Chanel advertise. According to Chanel, it is formulated with Vitamin E, 24% water and created for normal to dry skin, and lasts up to eight hours. It contains SPF 15 which a bit pointless if you ask me but I generally wear a higher SPF anyhow so... My skin is combination and this suits it perfectly - I did find after five days continuous usage that my skin was a little dryer than usual by the weekend (but the aircon in the office is particularly high so that may have been skewing the trial). 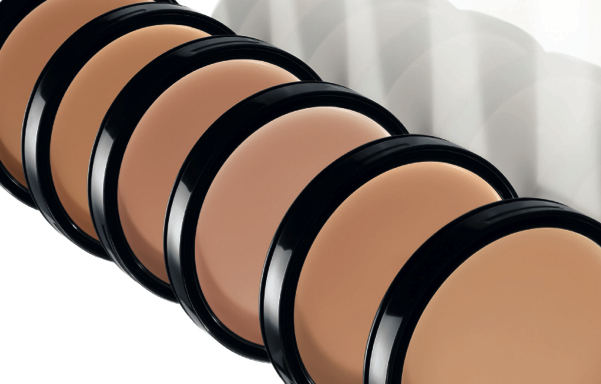 It does deliver medium coverage, buildable to "slightly more than medium" but you won't get full coverage out of this. It is quite pigmented. It does deliver a glow, and it does last up to eight hours, but to be honest (like most foundations) it doesn't really last beyond this. It is handy for touch-ups. It requires minimal powdering to set. And it looks beautiful on the skin, it doesn't look what I've come to expect from a compact foundation. Not all shades are available in all locations; I believe that six shades are available in each "region" and as far as I am aware, only Beige 10 through 50 and Beige Ambré 54 are available in Ireland from the usual Chanel counters (Brown Thomas, Harvey Nichols, House of Fraser, Debenhams, Arnotts). That means bad luck if your face is particularly pink-toned, unless you manage to get some online. From what I can see, the shades are - more or less - the same as the other Chanel foundation range shades. I very much like this and will repurchase when I run out. Recommended. Read more about Chanel foundations here. Look here for Chanel Perfection Lumière trial and here for Chanel brushes.